SANTA CLARA, Calif. – August 8, 2018 – Acalvio™ Technologies, the global cloud deception leader, today announced availability of ShadowPlex Cloud, a fundamentally new platform designed to protect cloud assets. Built on Acalvio’s patented Autonomous Deception technology, ShadowPlex Cloud detects malicious activity within public cloud environments with precision and speed, in a DevSecOps fashion, with minimal IT overhead. ShadowPlex Cloud extends deception to the cloud and supports all leading public cloud platforms, including Amazon Web Services (AWS), Microsoft Azure and Google Cloud Platform (GCP). Gartner identifies deception platforms technology with ”Benefit Rating: High” in its Hype Cycle for Threat-Facing Technologies, 2018. “Server workloads in hybrid data centers spanning private and public clouds require a protection strategy different from end-user-facing devices. Security and risk management leaders should evaluate and deploy offerings specifically designed for cloud workload protection,” wrote Neil MacDonald, VP Distinguished Analyst, Gartner, in the Market Guide for Cloud Workload Protection Platforms. 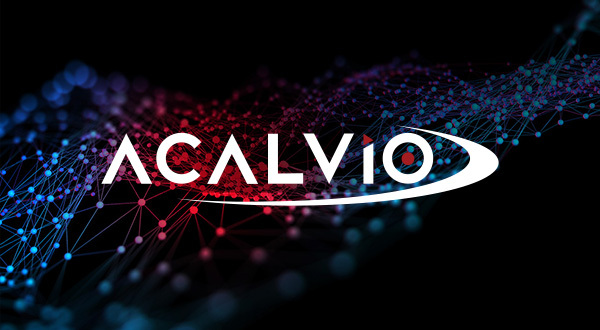 Effective Deception: Acalvio’s FluidDeceptionTM automatically presents attackers with a comprehensive environment of realistic and non-fingerprintable decoys, lures, baits and breadcrumbs that blend in with an organization’s actual network and assets. Flexible Deployment: DevOps for DeceptionTM dramatically reduces the cost of operation compared to first generation deception products by dynamically and automatically deploying the most effective and relevant deceptions. By delivering deception in and from the cloud, organizations can easily implement dynamic deceptions wherever their assets are deployed. Scalability: DeceptionFarmsTM simplify the management of distributed deceptions across network topologies. Acalvio’s solution does not require access to trunk or span ports and costly infrastructure changes. Low IT Impact: ShadowPlex Cloud’s unique combination of AI, SDN, Dynamic Deception and Cloud Technology resulting in Autonomous Deception dramatically lowers the cost of deploying Deception solutions. The platform simultaneously increases efficacy, when compared to first generation deception products, by dynamically and automatically deploying the most effective and relevant deceptions. Firewall platforms, EDR platforms, NOC platforms, etc.